This is a free, downloadable PDF that will print on a standard 8 1/2 x 11 inch letter size paper. 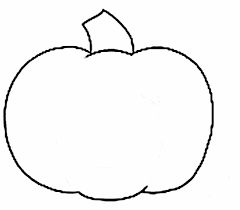 This pumpkin outline provides a background upon which children can create from their imagination an endless variety of Halloween pumpkins. For examples, visit the Kids Art Gallery.